A professional website helps you establish credibility as a business. Let our professional designers build a beautiful site for you. Every business needs a professional & creative web design services to connect with their potential clients. A good web design attracts more leads and builds the online reputation for the business. We at Egochi help you get that cutting-edge website design that will skyrocket your online credibility. The most crucial part of a successful website is to ensure you hire an experienced web designer who is in sync with the latest web design trends and knows how to implement them using clean codes. We have seen that from the beginning of the 21st century, the world wide web has become more and more involved inside peoples lifestyle. As this has happened the website design technology has also evolved. There have also been major changes in the way people use and access the web, and this has changed how sites are designed as well. Here is a list of things you need to implement on your website when designing your website, these tips will ensure your website stands out of the competition and builds quality user interaction with your audience. There are billions of people using mobile phones to surf online and there is high chance that your potential customer is also looking for a business like yours on their phones, therefore it is crucial to get a responsive website design for your business. Normally website designers use free stock photos which have already been used by thousands of people, I recommend investing in premium stock photos or hiring a professional photographer as it would make your website stand out of the ordinary. It’s important to make sure that your products are easy to find and customers can easily check out if needed. Companies such as Amazon are particularly good at having a customer-centric website that uses AI to improve customer experience. For example, when logging customers can easily see a list of potential products that they might need. Through 1 click, they can have the products delivered to their preferred address. The process is seamless which makes Amazon one of the most competitive e-commerce companies on the web. Providing clear navigation for your visitors simply means giving them what they are looking for quickly and easily. Sometimes I see that webmasters add too many links, banners and image thumbnails to the website main page, sidebars which confuse visitors a lot. Security of a website is crucial for this implementing an SSL certificate definitely makes a lot of sense when launching a website, as it keeps your website secured and also gives a sense of relief to your customers. A landing page is a webpage where you plan to sell your product or services to the visitor. This page is the lifeline of the business, therefore, you need to ensure to keep it sweet and simple yet informative at the same time. When designing a landing page ensure to add a detailed video for your customers right at the top so that they can easily find out what your business is all about, once that is achieved you need to provide an easy way for them to take action, if you are selling a product ensure you have a buy now button right below the video and if you are selling services then have call now button right below the video. The aim of a landing page would be to ensure it builds confidence and encourages sales to your business. When you plan to get your business online remember to set a budget for yourself, a normal yet professional website will start off at $700 and can go anywhere to $1500. An e-commerce website design costs start from $1500 to $5000 depending on the number of products and user functionality requirements for the website. 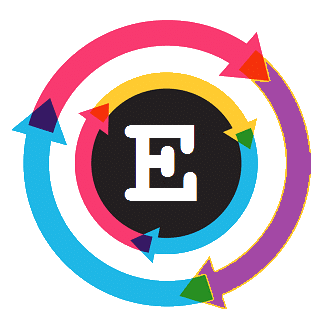 We at Egochi typically discuss the website requirement with you as a client and then provide you with a comfortable price that fits your budget. One key advice for everyone looking to get a website designed would to always have a budget pre-decided when designing a website. A designer uses multiple web design tools to meet customer expectations and get that jaw-dropping website experience. If you are designing your own website then here is a list of 100 website design tools that would help you out in designing a stunning website. We use many of these ourselves when designing websites for our clients, using such high-end tools enhances the website design experience. When choosing a design tool to ensure that they are compatible with your current CMS platform and it is well suited in terms of the tool size ensuring it does not slow down your site in any way. answer would be to check for their past work and search online for reviews, you can do this without contacting the designer as most of the information will be available online. If you want someone local then you can also search online using Google maps or even post an ad on Craigslist or Thumbtack. before hiring a designer, these would include being ready with website pictures & videos to used, logo designs, content to place on every page, a clear focus on what you want the website to do and achieve when it’s live. If you want the designer to design the log and use stock photos for the time being then simply let them know about the same. Also, have your social media pages ready as you want them to integrate to your website and most importantly have them carve out a detailed document on the layout of the web design look or you can simply draw a layout on a paper and send it to them. When it comes to paying the designer the thumb rule is to pay 50% upfront and the rest once the work is completed successfully as per the client’s requirement. Here is a funny web design meeting video on how things could turn out if you hire a wrong guy for the job. Website meetings can turn into a nightmare if you outsource the work to a rookie claiming to be a pro. Here is a small insight into what may happen if you just hire the wrong person. When designing a website it is important to add relevant content to it, content can be in many forms such as text, infographics, videos, slideshows etc. As a business owner, you need to have this ready and inform the designer where exactly to place them, such as the about us page needs to have specific information about yourself or the business that your potential customers may want to know. If you plan to add a blog section to your website ensure you have at least 5 blog posts on it before the website is live. As a professional agency, we have our own content writers/copywriters to get the job done on your behalf, you can also write the content yourself or hire freelance copywriter yourself. Content is really important as it showcases your expertise and represents your words to the potential customers thus make sure to pay special attention to your the content posted to your website. We have written some amazing content for our clients at a very competitive price range. When designing a website it is important to bring it in front of your clients and this can be done by optimizing your website with SEO elements. A good web designer or a design agency would know this upfront and would design the website keeping this factor in mind. By doing so, search engines would be able to know exactly what your business is all about and rank it accordingly in the search results. We need to understand that search engines read websites using bots and these bots need basic instruction to crawl your website the right way. At Egochi, we know the importance of a well optimized SEO website, thus we do keep all the SEO elements in mind when designing the website, this would save you a lot of time and money. When a website is designed without these SEO elements you would end up paying an SEO agency extra funds to get them fixed for you and it would take around one to two months for them to get the job done. If it is done during the design process itself then you can save that money & time and ask the SEO agency that the on-page SEO for the website is perfect and they need to focus on off-page SEO factors such as link building, directory submissions etc. How much does a simple website design service cost? A basic website design would cost you between $600 and $1500. This cost includes everything from designing the layout to adding special features like contact forms and call to action buttons to the website. You will get a fully functional website in this price range. How much does an e-commerce website design cost? How much does a video website like YouTube cost? Video sites meant for streaming and uploading data involve a bigger hosting server and managing it 24/7 there this process involves designing the website and also maintaining the website to ensure it is always available for its visitors. The cost of a video site like YouTube would cost between $10,000 to $15,000 to design it and then a monthly fee of $5,000 to maintain the website. How many web design languages are there in 2018? What are the different types of website design? How often should I update my website design? Updating a website is crucial for the success of the business as new technological advancements are made every year, therefore it is wise to update and redesign your website once every 1 year. However, if your website is performing well and you have received no complaints from your visitors then I recommend sticking to your current design. The best way to check if you need a new design is by checking your competitor websites, simply search online and see how the top players in your business have their website created if you see some major differences then its time to do get started with the redesign process. What website design software is the best? WordPress is undoubtedly the easiest, cost effective and the most user-friendly website design software. By using WordPress you do not have to pay a monthly fee unless you decide you use the WordPress self-hosted services also you can design and control the website the way you want, WP is easily customizable with codes and gives you the complete freedom to control your website. Some of the leading brand names use WordPress and recommend it to the world. How much time does it take to design a website? A basic website would take around 20-30 days to be designed and published online. An e-commerce website depending on the size of it can take anywhere between 2 to 3 months. The web designer should be able to give you the time frame once he/she understands the project expectations. The first step would be to get a domain name for your business like www.example.com and getting a web hosting normally these can be bought from leading service providers like GoDaddy, Hostgator etc. Once you have the layout decided, move on to creating the text/images/video content that you want to be added to every page. Normally a professional web design agency like ourselves would generate the content for you. Things would get really easy from here simply contact us and provide access to the website domain and hosting along with the content files and also layout your expectations from the website design services. Normally within 30 days, you would have your website designed and presented to you and once you approve the design we can make it available for the public eyes. Website hosting is crucial for the website design process as it determines how quickly a website would load up for its visitors and how strong design codes can a designer use without overloading the website server. Website hosting is a platform that hosts your website on the world wide web making it visible to the world to see. It can be referenced as a technology that provides you with a rented space on the internet. In short, if you want a website then you definitely need a web hosting plan. You do not have to know about every one of them, here is what is relevant. If you are a small start-up business and are expecting a low-level traffic to your website in the range of 1000 to 2000 visitors every month to your website then go with shared hosting plan however if your website is going to include some heavy software tools then I recommend using the cloud hosting plan for the same amount of users. If you expect higher traffic with and also want to grow your website size from time to time then you should get the dedicated hosting plan as this would place your website and files on a dedicated server. A dedicated server provides you with a lot of space and bandwidth enabling you to freely customize and handle visitors as per your needs. I tried my best to explain everything about website design in this article and hope it would be a fun read. If you think I missed something or have any questions please do not hesitate to get in touch with me using the contact form on the top. If you think I should add more relevant content to this site then simply send an email to [email protected] and I will definitely get back to you.